How are these Pesukim said? For example, my name is דניאל חיים יצחק. Would I say the blocks of eight Pesukim for each letter in that order, including repeats? Would I do it alphabetically - אדחילמנצק? Would I go in order of my name without repeats - דניאל חם צק? Would I factor in ben (mother's name) in any of these versions? In the book 'Sepher Zechirah' (publ. 1709), which may be the origin for saying verses which begin with the same letters as a particular name, it instructs here (s.v. סגולה ממקובל) the reader to read all such verses from the book of Psalms (not only from ch. 119; cf. intro. to HaKasuv LeHaim, s.v. ומה, by R. Haim Palachi - pic. below) in the order of the name(s), disregarding repeats and not alphabetically. This method has become known as Likutei Tehilim or Tehilim L'Chida (R. Azoulai, a.k.a. Chid"a, sort of popularized it). When praying on behalf of a person who is alive it is generally more accepted to add the mother's name than the father's, see here for a discussion on this point. 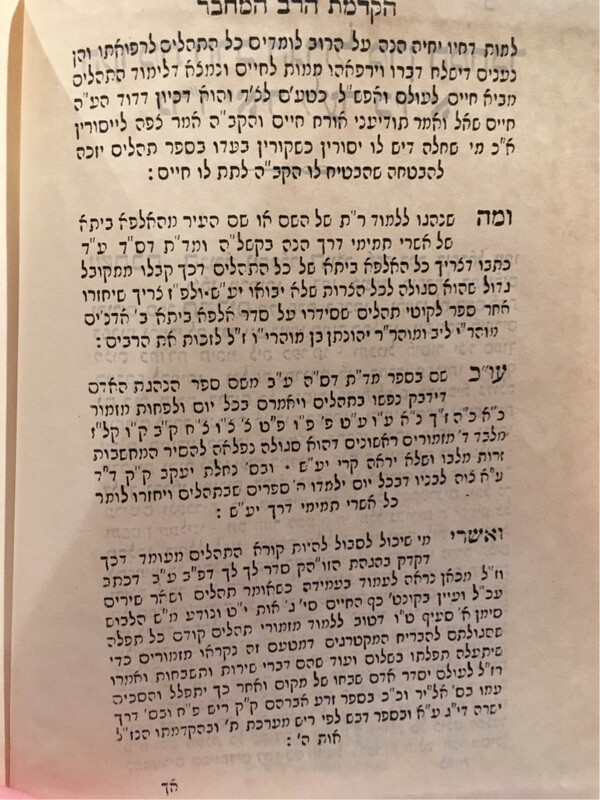 If you can get your hands on this specific edition of Psalms, see the section of halachot n. 14, on this question and for a more detailed survey of this arrangement in general. Not the answer you're looking for? Browse other questions tagged tefilla minhag tehilim-psalms choleh-sick .